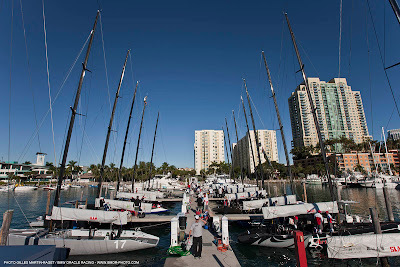 From feast to famine, Day 2 of the ORACLE RC 44 Cup Miami was abandoned this afternoon when windstrengths sufficient for racing failed to develop. It was a disappointing development for the fleet, which reveled in yesterday’s strong winds and wild sailing. With the match racing schedule abbreviated, tomorrow sees the fleet head out for sudden death sail-offs for 1st through 14th. Larry Ellison and Russell Coutts will lead BMW ORACLE Racing against Team Sea Dubai in the race for fifth and sixth places. 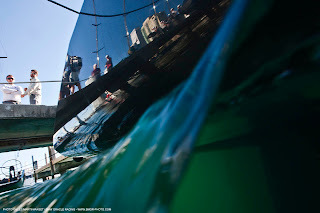 James Spithill and 17 will square off against No Way Back in the battle for seventh and eighth. The first warning signal has been moved forward by one hour to 1100 to accommodate the seven matches that need to be sailed. 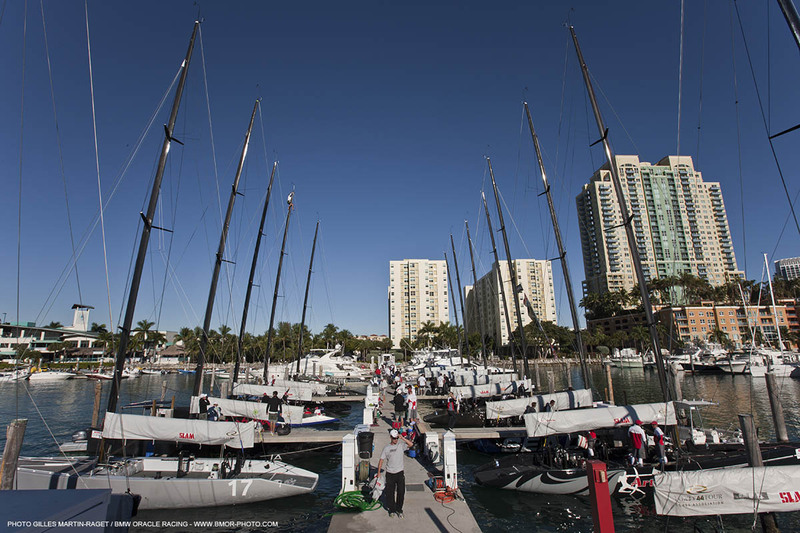 No racing will be held after 1300 as the afternoon is set aside for practice for the fleet racing half of the event, scheduled Friday through Sunday.